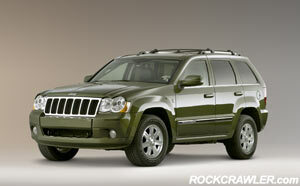 New York City, April 4, 2007 – The Jeep® brand unveiled today the 2008 Jeep Grand Cherokee that features an all-new 4.7-liter V-8 engine that delivers a 24 percent increase in horsepower, a 6 percent increase in torque and improved fuel economy compared with the engine it replaces. 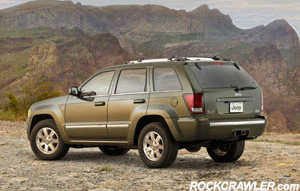 The 2008 Jeep Grand Cherokee also offers a refreshed interior and exterior design and a host of innovative premium amenities, including one not found on other full-size sport-utility vehicles (SUV) on the road today -- SIRIUS Backseat TV™. 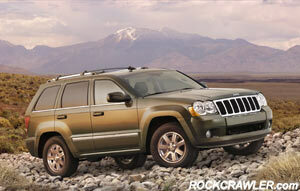 The vehicle will arrive at Jeep dealerships starting this fall. 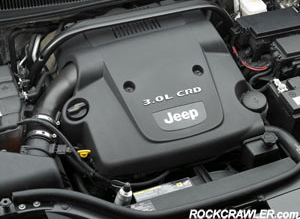 The new 4.7-liter V-8 incorporates two spark plugs per cylinder (the only Chrysler Group engine to do so, other than the 5.7-liter HEMI), increased compression ratio, improved cylinder-head port flow and a new combustion system. The result is 291 horsepower (217kW), a 24 percent increase, and 322 lb.-ft. of torque (437 N•m), a 6 percent increase over the previous 4.7-liter V-8 engine. And, like the engine it replaces, the new 4.7-liter V-8 engine is flex-fuel capable, which gives customers the ability to use up to an 85 percent concentration of ethanol (E85) to fuel their vehicles. 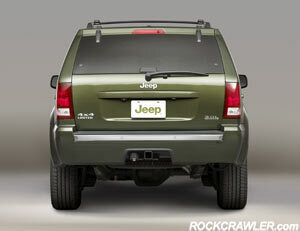 SIRIUS Backseat TV operates via an in-vehicle satellite video receiver and two small roof-mounted antennas. Programming is displayed on the vehicle’s second-row (except minivan: second- and/or third-row) video screen, and channel name, program title and rating will be broadcast and displayed on the screen. For added flexibility, rear-seat passengers can enjoy SIRIUS Backseat TV while front-seat occupants listen to SIRIUS Satellite Radio. The system can be operated from either the rear-seat entertainment unit or the radio head unit. In addition, when the vehicle is in park, programming can be displayed on the MyGIG screen for front-seat viewing. 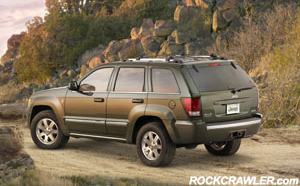 Along with SIRIUS Backseat TV, the 2008 Jeep Grand Cherokee includes a variety of premium amenities that are new for 2008, including the new MyGIG™ Multimedia Infotainment System that has a built-in navigation, audio, entertainment and communication system. MyGIG enables customers to use touch-screen or voice commands to control all of the features, and includes a 20-gigabyte hard drive where music and photos can be stored. There’s space reserved on the hard drive for approximately 1,600 songs; that’s over 100 hours of music. There also is a voice-memo recorder feature. MyGIG supports real-time traffic information, available through SIRIUS Satellite Radio, and can provide an alternate drive route based on current traffic. ParkView™ Rear Back-up Camera (with or without navigation), ParkSense® Rear Back-up System, SmartBeam® headlamps, rain-sensing wipers, memory seats and mirrors, iPod connectivity and 18-inch chrome-clad aluminum wheels also are part of the vehicle’s available features and options. 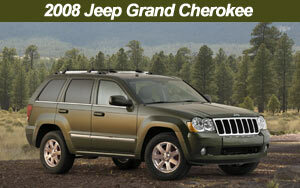 Hill Descent Control (HDC) is standard on Grand Cherokee 4x4 models. Operational in the “4WD Low” position, HDC provides downhill assistance at a controlled rate of speed. By means of electronic brake control, HDC supplements the gear reduction and engine braking that a traditional mechanical low-range transfer case provides. For ease of operation, Grand Cherokee’s HDC is activated and deactivated automatically, after the HDC button is engaged, as the system senses changes in topography. The system works whether the vehicle is in forward or reverse. The available Hill Start Assist (HSA) allows the driver time to transition from brake to throttle to achieve a smooth launch on a grade. The system will hold brake pressure for two seconds upon the driver’s release of the brake pedal. The ABS system decreases wheel pressure in response to increasing throttle to provide a smooth launch. With its upright and substantial posture, the Jeep Grand Cherokee’s design offers an athletic and contemporary appearance. 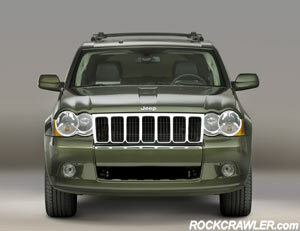 The grille has been lengthened, and the headlamps are more circular for a more dominant and expressive front view. A new HID headlamp, optional on Limited and standard on Overland, includes an internal optic lens for the park/turn function. 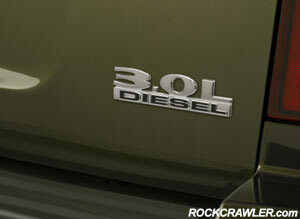 Fog lamps also have also been lowered for enhanced performance. Off-road enthusiasts will be pleased with the new two-piece front fascia, allowing for the entire lower piece to be removed before hitting the off-road trails.